Sinclair Broadcast Group is showcasing its potential infuence on key midterms races this fall by forcing its local stations to air multiple excerpts of a softball interview with Sen. Ted Cruz (R-TX). 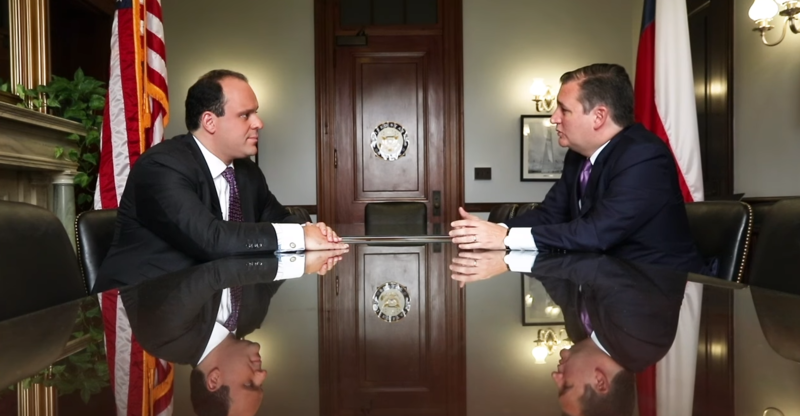 So far, Sinclair chief political analyst Boris Epshteyn has produced three “must-run” segments from his interview with Cruz, who is up for re-election, and they’ve aired in at least five metropolitan areas across Texas and in at least 26 other states just weeks before voters head to the polls. The first “must-run” segment featuring part of the Cruz interview began airing on Sinclair local news stations on October 12. The roughly two-minute segment, like some of Epshteyn’s other criminally soft interviews with GOP officials, features no questions from Epshteyn. The chief political analyst simply added a separately recorded intro and ending to the interview footage and let Cruz ramble for a minute straight in the middle. What’s worse is the topic Cruz ranted about: an “angry mob that we’re seeing on the left” that makes it hard for him to eat at restaurants. According to the iQ media database, Sinclair stations in 27 states have broadcast one or both of these segments. Most notably, stations in at least five local media markets in Cruz's home state of Texas have aired at least one of them -- KEYE in Austin; KTXS broadcasting in the Abilene and Sweetwater area; KBTV serving the Beaumont and Port Arthur region; KGBT broadcasting around Harlingen, Weslaco, Brownsville, and McAllen; and KABB in San Antonio -- just weeks away from Election Day. Sinclair's recent attempt to expand into more major media markets by acquiring Tribune stations may have fallen through, but the company is still poised to impact key midterms races with news programming like this. 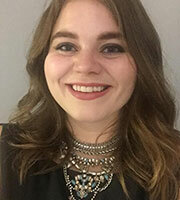 A number of Sinclair’s 192 local TV stations -- many of which broadcast Sinclair's original news programming -- are located in battleground states for the 2018 and 2020 election cycles; for example, Sinclair controls seven stations broadcasting in Pennsylvania, eight in Michigan, and 13 in Florida. Stations like these are positioned to directly impact races, in part because they enjoy higher levels of trust than other news sources, and Sinclair has repeatedly demonstrated it’s more than willing to exploit that trust. The company also appears to be increasing the frequency with which it replaces its “must-run” “Bottom Line with Boris” commentary segments with friendly interviews with GOP officials, including some running for re-election this fall. and Rep. Sean Duffy (R-WI). Cruz, DeSantis, McCarthy, Rooney, and Duffy are all on ballots this year.